Each migration from VB6 is a story of its own, with its unique assortment of challenges and obstacles. At the same time, there all migration successful stories have many traits in common. Typically all of them can be subdivided in a few distinct steps, starting with the initial assessment, proceeding towards the zero-compilation-error and zero-runtime-error stages, and ending with the refinement and optimization stages. This whitepaper analyzes the entire process and shows which feature of VB Migration Partner can be most useful during each of these steps. Why should you adopt VB Migration Partner when Visual Studio comes with a free VB6 conversion tool from Microsoft? Well, there isn’t such a thing as a free lunch or a free conversion software. To prove our point, we did a very simple thing: we ran the Upgrade Wizard and VB Migration Partner on the same set of VB6 open source projects, which represent a good mix of the challenges you are going to face when porting your code to VB.NET, including database access, data binding, graphics, Windows API calls, and more. The results are stunning: even before adding a single migration pragma, our tool beats the one in Visual Studio 5 to 1. OK, you took the decision of migrating your VB6 code to .NET using an automated tool. Your next step is selecting the right product for your needs. To help you in the decision process, we built a detailed feature table that compares the strengths and weaknesses of the three more popular VB6 conversion products on the market: Microsoft Upgrade Wizard (the free one), Artinsoft VB Upgrade Companion, and Code Architects VB Migration Partner. Rather than being a dry list of features, however, this document explains why (and if) a given characteristic is useful during the migration process, so that you can make an informed choice. VB Migration Partner can achieve its high success rate thanks to two factors: (1) its superior code analysis and generation engine, and (2) a powerful support library. A few developers don’t realize that all VB6 conversion tools use a support library, even if their vendors prefer not to emphasize this detail. However, VB Migration Partner’s library goes far beyond that, and offers many advantages that might not be apparent at first, such as embedded debug and trace features, performance optimizations, interoperability with VB6 apps. This white paper explains these and other advantages and provides a few insights about the future of code migration with VB Migration Partner. Starting with version 1.50, VB Migration Partner is capable to convert VB6 projects into C#, more precisely the C# version that comes with Visual Studio 2010. 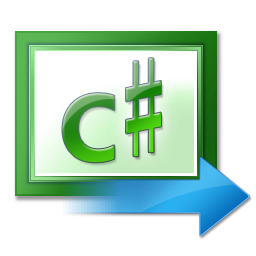 Having chosen C# 2010 as the target enables VB Migration Partner to generate code that leverages the new dynamic data type, late-bound calls, and optional parameters. The purpose of this whitepaper is to illustrate the few differences between migrating to VB.NET and migrating to C#, as well as the pragmas that have been added to VB Migration Partner to better support C# code generation. The easiest way to ascertain that the original VB6 project and the converted .NET application are equivalent is producing a set of trace files while executing the same sequence of actions on them. The Trace-Match methodology lets you add tracing statements in an easy and error-free manner, and allows you to run a battery of unattended test cases to prove that your migration project is successful. Unlike other VB6 conversion tools, VB Migration Partner offers a flexible approach to ActiveX control conversion and migration, based on wrapper classes. This document illustrates the many advantages of wrapper classes compared to less flexible approaches that use code transformation and basic mapping techniques to achieve functional equivalence. It also explains how wrapper classes fit perfectly in large migration projects, decrease overall migration costs, avoid bottlenecks in the migration process, and allow you to split the burden among different developers team, inside or outside your company. All real-world migrations show that the largest cost is the manpower needed to prepare the VB6 code for the migration and to modify the resulting VB.NET code to ensure full functional equivalence with the original application. For this reason it is essential that the conversion software you select simplifies the job of your developers and reduces the need for these manual adjustments. This whitepaper analyzes the factors that can affect the duration and cost of a complex migration project. VB Migration Partner offers tons of improvements over Upgrade Wizard when migrating VB6 code that heavily on Windows API calls. You can take a few additional steps, however, that can make the migration even easier. Learn how by reading this article. VB Migration Partner supports the migration of 3rd-party ActiveX controls by means of wrapper classes. This whitepaper describes all the steps that are necessary to create this wrapper class using the AxWrapperGen utility, how to modify the generated source code to account for special cases, and how to eventually edit the wrapper class so that it wraps a .NET control instead of the original ActiveX control. A detailed troubleshooting section will help you solve all the common problems you can meet during the process.